Everybody seems obsessed with them these days in the quest for a minimalist wardrobe. Although I believe a variety of colors is super important in creating a wardrobe for most people, neutral colors are the foundation for any highly functioning wardrobe. Dressing in head-to-toe hot pink can be incredibly fun and makes a bold statement, but most people probably don't feel up to putting out that energy each and every day. Mixing up your hot pink with the best gray for your coloring? Fabulous. Each color we wear plays an important role in presenting who we are to the world. More importantly, the colors we wear strongly affect the way we feel. Neutrals can help balance our energies and provide a backbone for the rainbow of colors we wish to wear. Now, there is absolutely nothing "wrong" with a 100% neutral wardrobe! In fact, some people feel that neutrals really work well with their personal style and with their spirit's energy. No matter what your stance on neutrals and the way you incorporate them into your wardrobe, it's incredibly important to make sure you are selecting the right neutrals for your own personal coloring. Here are some tips to uncover the neutrals that will suit you best. What do I mean when I talk about neutral colors? Neutral colors are those that have very low levels of saturation. The "hue" or "coloring" looks like it has been taken away, essentially. They appear that they may not have much color or pop. When you think of it in this way, almost any color can become a neutral once it has been de-saturated. The hue will appear to be more of an undertone of the neutral, rather than the color itself. I started here with a bright amber yellow, and decreased the saturation level until I reached 20% saturation. (The original hue is 94% saturation.) 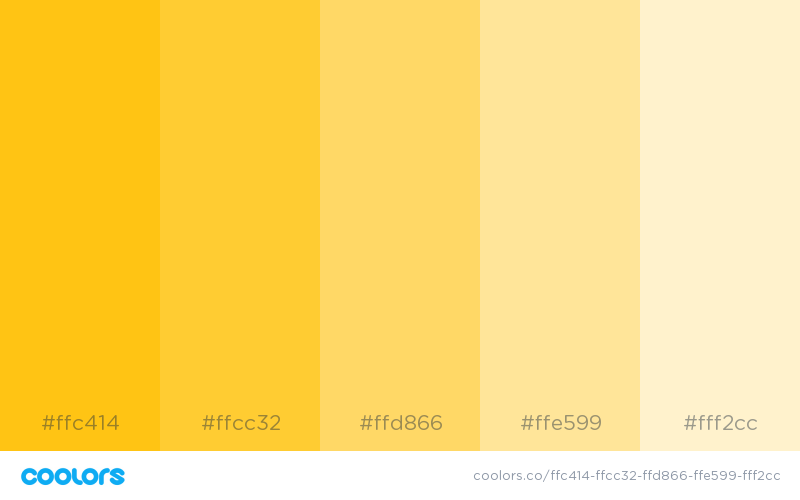 As you can see, the color on the right still has a slight tinge of yellow, but it has become a much more neutral color that would be more easily mixed with other shades. Since this is at 20% saturation, it could be de-saturated even further. Let's see how decreasing the saturation in increments of 5% brings it down to white at 0%. Even at 5% saturation, you can see that there is still a tiny bit of yellow present in the tint. This could be a buttery white or an off-white shade that might be similar to the whites of some people's eyes. A similar result can be obtained by "tinting" the original color, which means that you are adding white to the original color. We can make that, too. Here, I took approximately the same yellow and decreased the brightness incrementally, shading the yellow with black until it reached a 5% brightness level. The result is a slightly warm black. If you were mixing paint, you'd add black to "shade" the color. Let's do the same thing with a bright, 100% saturation and 100% brightness blue. The starting blue is a cool color. It might be difficult to see the difference on the monitor, but the resulting black is a cool black. And if I Add Grey? Here are a few different hues of grey. Can you figure out what the original hue of each grey was? Can you tell which are warmer and which are cooler grays? OK, so any color can be made neutral? Why is this so important? Well, understanding that there might be colors hidden beneath your whites, greys, blacks, and browns helps explain the concept of a neutral color. Finding your best neutrals depends on your personal coloring. This background will help when we discuss finding your neutrals, as will a few other color concepts.